I love video games especially titles with a heavy emphasis on storytelling. This includes RPGs, point-and-click titles and visual novels. Today, I will be looking at a title I picked up back in 2017 that has held a very special place in my heart. That title is Night in the Woods. Mae Borowski, our protagonist, is a college dropout returning to her hometown of Possum Springs to reconnect with family and friends she hadn’t spoken to in years. But she has been gone for a while and things have slowly changed around her. Stores she loved are now closed with the and her friends are a lot busier with work and their everyday lives. All Mae wants to do is have band practice with her best friends in the world and forget about her troubles. The older we get, the busier our lives become. We lose contact with individuals we used to hangout with and we start making new contacts. 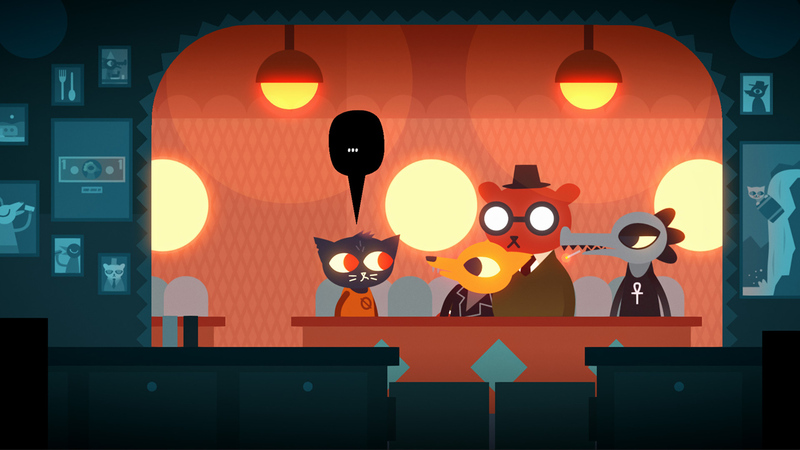 Night in the Woods paints a wonderful picture of just what it’s like to grow up and like Mae, I have also wanted to reconnect with the people who were once important in my life and like her I had to get used to the fact that things have changed and can never go back to the way things used to be. That can be depressing knowing that we can never get those carefree days back; days when we didn’t have to worry about putting food on the table and just living life to the fullest. There are some days where I truly feel like Bea, Mae’s best friend, who feels trapped with the heavy weight of responsibility of her family and the urge to move on somewhere else and live freely. The game is a point-and-click adventure title that allows players to run, jump, and converse with the townspeople of Possum Springs. Depending on who you talk to throughout the adventure, you become more involved in their lives. By the end, will know these characters in and out. It’s impressive how good the writing can get as players spend time with the many residents of Possum Springs. I feel like there is something for everyone here in terms of characters. A good example is how well the writers handle mental illness involving certain individuals. I won’t spoil exactly what the game does, but I assure you will not be disappointed in the way the game handles these heavy themes. It can get dark fast but almost always manages to keep its cheerful charm even in times of desperation. Night in the Woods is a phenomenal game that needs to be played by anyone who enjoys outstanding storytelling above all in their video games. The presentation is charming, the music is pleasant and the story and characters are certainly worth the 15-20 hours of gameplay. You can pick the game up on PS4, Switch or Steam. I personally bought the game twice on PS4 and Switch for the full experience on the go. Hopefully, the love I have for this game convinces you!